A peerless entrepreneur, Linkner is the founder and CEO of five tech companies, the Founding Partner of Detroit Venture Partners, and he has invested in and mentored more than 100 startups. He’s also a best-selling author and accomplished jazz guitarist. Throughout his career as a leader, Linkner has encouraged innovative thinking across every strata of an organization, and he will detail several topics relevant to physician anesthesiologists to inspire new perspectives. 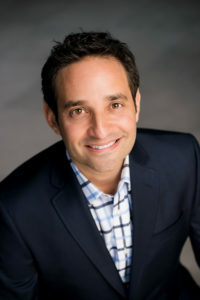 Josh Linkner will deliver the keynote address at ANESTHESIOLOGY® 2018. Linkner believes physician anesthesiologists can play a leading role in disrupting the health care environment — and he’ll describe his personal experiences that led him to this conclusion. He’ll also examine the issues of physician burnout and suicide, and how strategies must be put in place to combat these urgent problems. Finally, he’ll offer his expert insights on the most impactful changes taking place in the health care landscape, including Amazon’s recent foray into the medical supply chain. Josh Linkner’s keynote address will arm attendees with methods for innovating at their practice — each day — to affect change.